Bobby Pedrick had his first hit in 1958 and his biggest hit twenty-one years later, but by then he wasn’t Bobby Pedrick, he was Robert John. 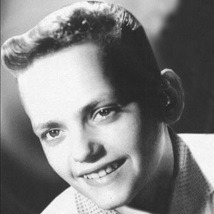 Born Robert John Pedrick Jnr., in Brooklyn in 1946, he was just twelve years of age when he made the American charts with “White Bucks And Saddle Shoes”, a song written by Doc Pomus and Mort Shuman. A less successful follow-up saw two more Pomus / Shuman songs, but this time, heavyweight producers Jerry Lieber and Mike Stoller were involved, sadly to no avail. With producer / arranger Bill Ramal taking over Bobby was signed to the Shell label and then moved over to the Dual label for three more releases, between 1960 and 1963. After that the label-hopping increased. He was lead singer of Bobby & The Consoles for the Diamond label on “Jelly Bean”, the he was on MGM and Verve for a couple of releases before being a member of The Inferno for one single on the Date label. Things stabilised for a while between 1968 and 1970 when he was signed to (American) Columbia as Robert John. “If You Don’t Want My Love” made the U.S. Top 50 and also marked his first U.K. release since “White Bucks And Saddle Shoes” ten years previously. A short stay with A & M followed before he hit the U.S. charts again, making the top 3 with a re-make of “The Lion Sleeps Tonight” on which he was produced by the original hitmakers The Tokens. A further move to EMI America in 1979 finally saw Bobby make the number one spot with “Sad Eyes”. It only took twenty-one years !